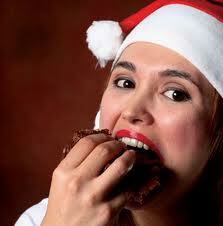 Holiday weight gain isn't guaranteed. Just a few simple changes to what you do each day can make all the difference. Get into these habits and you'll keep holiday weight gain at bay! 1. Don't skip meals because of the holiday rush. Eat breakfast every day to keep your energy up and blood sugar stable, which will prevent you from becoming overly hungry. Include complex carbs such as fruit, steel-cut oatmeal or 100% whole-grain bread, and lean protein, such as low-fat yogurt. Adding a little bit of fat will help you feel satisfied longer. (For instance, I add slivered almonds to yogurt to get in a dose of heart-healthy fat and to feel satisfied longer.) Then, eat lunch, a healthy snack and dinner consistently and on schedule -- eating every three to four hours is ideal. 2. Stock up on the freezer aisle. When you get too busy to cook, keeping healthful frozen meals on hand is a great way to ensure you don't stop for takeout on the way home or call for pizza delivery once you get there. Look for varieties that contain fewer than 400 calories and add fruit or veggies to round out the meal. 3. Treat yourself to a little something sweet on a daily basis so cravings won't build up and get out of control, which can lead to a binge. Knowing you can count on having another treat tomorrow (and the day after that!) will help you control your portions today. 4. Don't put off getting back into your regular exercise routine until New Year's; there's nothing magical about that date. If you burn off some of the extra calories you'll inevitably be taking in during the season, it will help keep those few holiday pounds from creeping on. Exercise will also stave off the winter blues and relieve the stress that often crops up during the holiday season, which in turn helps prevent emotional eating. 5. Set realistic expectations for yourself during the season. Try to focus on the things you can do to maintain your weight rather than what you can't do right now to lose weight. Putting too much pressure on yourself can backfire with binges or ultimately giving up on watching your weight at all. Plan on keeping your weight stable and put losing on hold until the season has passed. Preventing weight gain this time of year is an accomplishment in and of itself and if you do lose, it will be like a surprise gift to yourself! Here are the seven secrets to a long life: Stay away from cigarettes. Keep a slender physique. Get some exercise. Eat a healthy diet and keep your cholesterol, blood pressure and blood sugar in check. 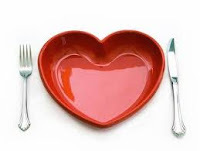 "These seven factors — if you can keep them ideal or control them — end up being the fountain of youth for your heart," said Dr. Donald M. Lloyd-Jones, a cardiologist who was lead author of the statement. "You live longer, you live healthier longer, you have much better quality of life in older age, require less medication, less medical care." Doctors say the quiz is a good way for people to get a handle on how they're doing, especially since people often think they're doing better than they actually are. With America's obesity epidemic, weight especially is a pitfall for patients trying to meet these seven health factors, doctors say. "Many people are surprised to find out how overweight they may be," said Dr. Randal Thomas, director of the cardiovascular health clinic at the Mayo Clinic. Lloyd-Jones, also chair of the preventive medicine department at Northwestern University's Feinberg School of Medicine, said, "People I think are far too accepting of their waistlines." Thomas praises the online tool for giving people a score so they'll have something to work toward. It offers advice for problem areas: for instance, advising someone who's over weight to set a goal of losing a pound a week by burning up to 3,500 more calories than are taken in. He said that in the last decade, there's already been a nearly 40 percent reduction in death from heart disease and a nearly 35 percent reduction in death from stroke. He said those goals were achieved with improvements in treatments and prevention. How do you rate on these points?